A ceilidh is an informal social gathering. Traditionally, at this kind of evening, people listen to Irish or Scottish folk music, dance and tell stories about their culture. The word ceilidh is a Gaelic word and originally simply means “visit”. But it can also be understood as a “house party”, a “concert” or an evening of “informal Scottish or Irish traditional dancing to informal music”. Ceilidh was mentioned the first time in 1413 in Baltimore. Back then, it was not known as ceilidh but as “carolling ”. Carolling was a combination of singing and dancing. In 1540 the Lord Deputy of Ireland, Sir Anthony St. Leger saw a carolling dance performance and brought it back to England. In the early part of the 16th century different group dances developed from the original “carolling”. These seem to have been the prototype of what would nowadays be described as ceilidh dancing. In the late 17th century, when England introduced new laws, Irish cultural activities were suppressed. All dancing and musical activities had to take place in secret. This period of repression lasted until 1829 and had as a consequence a decline of the Irish language, customs and music. In the middle of the 18th century the so-called “Dancing Master” appeared for the first time. These dancing masters usually came from England and traveled from village to village to teach set dances to the Irish people. The latter were usually very cooperative with them and offered them a room in their houses. Moreover a big problem for the pupils was that they could not distinguish between their left and their right foot. To solve this problem the teachers tied a hay rope on one foot and a straw rope on the other. 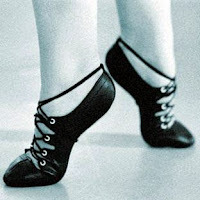 Instead of screaming left or right foot, the dancing masters used now the terms “hay” foot and “straw” foot. Moreover, in the 18th century, most Irish people started to rebel against the English presence and increasingly attempted to revive their own popular culture. As a result, they abandoned the set dances and introduced the Irish form of these dances: the ceilidh, which is slightly different. Another reason for the decline of set dances was that the Irish church refused them because of a wide association with drinking and improper behavior, but the ceilidh dances were generally accepted. The first official ceilidh was held in October 1897 and in the 1920´s official dance schools were built. Ceilidh dancing began to decline in the 1960´s because at these schools the emphasis had moved on competition and especially the students therefore started to say that the enjoyment factor had been lost. Furthermore the younger generation started to be increasingly influenced by popular music rather than by traditional music. Nowadays, ceilidhs are not as present as they used to be. In particular cases, they are organised to maintain the tradition: for example, they are held once a year in some schools. The tradition of ceilidhs has spread all over the world: even Korean or Russian dancing schools now teach this dance. Today, most Irish people know how to dance the ceilidhs and they are a part of their culture. When you go to a ceilidh it is important to wear comfortable clothes that are not too tight or restrictive. You must be able to move because probably you will get hot and sweat. Best shoes are soft, without heels and have plenty of grip. 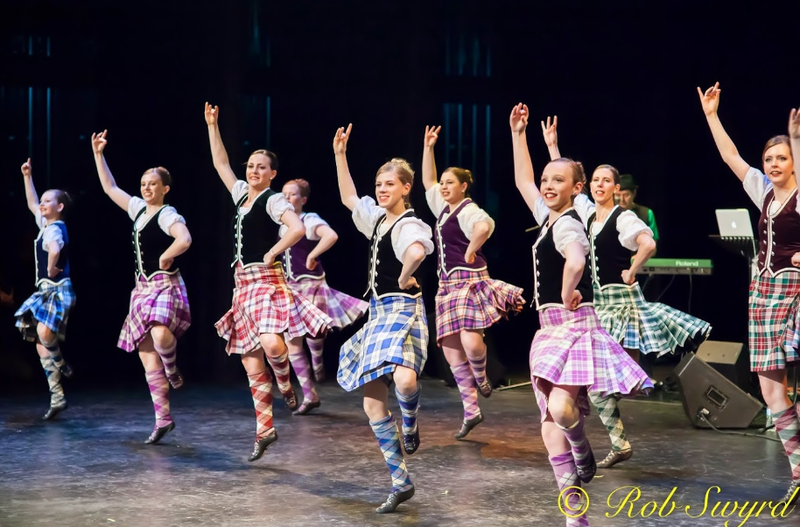 At each ceilidh there are professional dancers who wear occasionally traditional Scottish or Irish clothes such as kilts, white socks and highland dance shoes. The advantage of these professionals is that they scream instructions, to guide the laymen. So it is easy for everyone to participate on a ceilidh. You can check out a lot of videos on youtube.